We spent one day visiting iconic New England sentinels, light houses, while spending time in Massachusetts coastal villages. 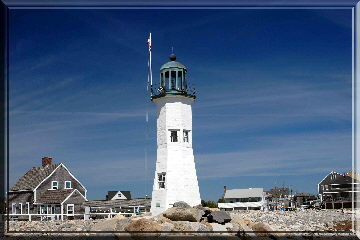 The Scituate lighthouse was manned by two sisters during the Revolutionary War. Both sisters set fires on the beach causing the British to think the area well fortified.